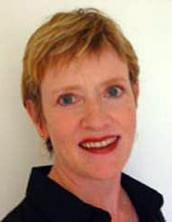 Cathryn Booth-LaForce, PhD is the Charles and Gerda Spence Endowed Professor in Nursing at the University of Washington. She is also an Adjunct Professor of Psychology and an Affiliate of the Center on Human Development and Disability. One of Dr. Booth-LaForce’s significant research interests is in the social-emotional development of children. In longitudinal projects that follow children from infancy to adolescence, she investigates early experiences in various contexts to examine how these experiences affect children’s development. Another of her significant interests is in complementary and integrative health (CIH). Specifically, she is an expert in yoga research generally, and in yoga for women’s health issues specifically, including yoga-based changes in women’s psychological and physiological processes during the menopause transition. She was an investigator on several recent and ongoing CIH clinical studies, including trials of nonpharmacological approaches to hot flashes and whole-practice Ayurveda for rheumatoid arthritis. As well, she was an investigator on the UW School of Nursing’s NCCAM-funded R25 Integrating CAM Program (2003-2006). Through her work as Senior Faculty Director for the UW’s Clinical and Translational Science Award, the Institute of Translational Health Sciences (ITHS), she promotes interdisciplinary team science, career development for trainees and early-stage faculty, and mentoring for success. She, and Dr. Heather Zwickey are Program Co-Directors of the NCCIH-funded Building Research across Interdisciplinary Gaps (BRIDG) T90/R90 Training Program at NUNM and UW.